An article in October’s edition of the Brewer & Distiller International magazine explored the manufacture of plastic casks and kegs, with GPS being featured throughout. The article details the history of GPS and the obstacles we faced to bring a successful plastic cask to market. You can read the article in full below. Is plastic the answer to losses? 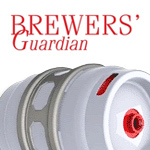 An article by Tara Craig in November's edition of the Brewers Guardian explores the contentious issue of kegs. 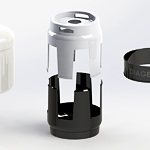 Old school fans of stainless steel find themselves at loggerheads with modern-minded supporters of plastic kegs, while the plastic fans are busy debating the relative merits of one way kegs and their reusable counterparts. 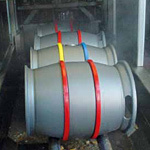 Global Polymer Solutions casks and kegs feature in the article, which can be read in part below. Please see the PDF link at the bottom of this article to read the full editorial. Cask runs for November are well underway with colour options this month including Blue, Red and Silver. Our deadline for Christmas delivery is the middle of November, so be quick to place your order via our easy online order form. 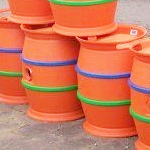 If you require casks in a different colour please contact us with your requirements. 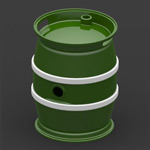 As a reminder, GreenCask is currently available at a discounted price of £35.00 on all orders over 50 casks. This one-off offer expires at the end of the year so don't miss out. 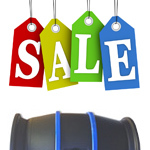 We are pleased to be able to offer the 9 gallon GreenCask at a discounted price of £35.00 on all orders over 50 casks, received and confirmed before the 30th December 2012. As many of you know, GPS are due to release the 50 litre keg which has enabled us to re-visit our cost structures, with the result we can offer this great one-off deal on the casks. Cask production is underway for October and runs this month include Silver, Orange, Blue and Black casks. As usual, please use our online order form to get your Cask order in before December. Global Polymer Solutions will be attending Brau Beviale 2012 in Nuremberg, Germany from the 13th to 15th of November 2012. We will be presenting our much much-anticipated 50 litre keg at the show which, after months of testing, should be ready for customer evaluation by the end of November. 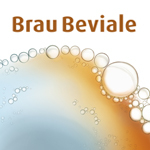 Brau Beviale attracts over 1,350 exhibitors each year and 31,500 visitors are expected over the three days. They can look forward to the beverage industry's most important capital goods exhibition of the year, with the show focusing on innovations in the segments of beverage raw materials, technologies, logistics and marketing. 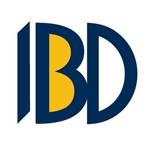 Brau Beviale creates impulses for international beverage trends. As well as supplying over 200 brewers here in the UK, Global Polymer Solutions now supply brewers in the USA, Canada, New Zealand, Australia and Europe. From our Shive sales, we know that our casks are being filled 10,000 times a month on average and our sales are increasing month on month too. As a result of our success, we have invested in new tooling for the Shives to enable us to keep up with demand. We are also looking to introduce a new process for cask identification which should be ready for launch towards the end of September. This process will enable us to print your company name and telephone numbers on the cask along with an identification number, which is something we've been asked for by our existing customers. Our long awaited 50L keg is almost here. 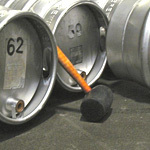 After testing, testing and more testing we are looking to have the keg ready for the market by October 2012. We have received interest in the keg from around the world and as a result, we are looking to set up manufacturing facilities in the USA, Europe and Australia. Manufacturing capacity in the UK will start off at 150,000 units per annum, with options to increase with customer demand. Please follow us on Twitter and Facebook for all the latest news and updates about the keg. Our cask runs for July are under way with colour options this month including Silver and Orange. We still have capacity in either colour for delivery by the end of July. If you require a different colour please contact us with your requirements. We carry a limited number of stock casks in various colours with no branding on them. 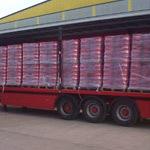 These casks can be supplied next day if required. As you may be aware, there are going to be significant disruptions to many destinations from now until September due to the Olympic and Paralympic Games. There are two main areas which this will affect; all olympic venues and the route network around central London. To avoid any delays please plan your cask orders as early as possible, read below and inform us if your address is on the olympic route. We are currently preparing for our June cask runs, so if you require casks, there is still time to get that last minute order in. Production runs this month include Silver and Black casks. In other news, we've recently added a links page to our website, so if you would like us to link to you, please contact us. 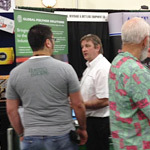 As most of you will know, GPS attended the Craft Beer Conference in San Diageo between the 2nd and 5th May 2012. BrewExpo America is viewed in the US as the premier trade show for Craft Brewers, with over 200 vendors and 3500 visitor a day all in one location. The show was the perfect place for us to showcase our new 50L keg, along with our 9 gallon cask that is already becoming a big seller in the USA. GPS cask production for May will start on Tuesday 1st, so if you require casks please submit your order via our quick and easy order form. Cask runs for this month include Silver, Orange and Green casks. In other news, we've recently expanded our website with a photo gallery and additional testimonials. If you use GPS casks please send us a testimonial or a photo and we'll add it to the site. 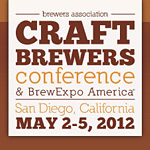 Global Polymer Solutions will be attending the Craft Brewers Conference in San Diego, California from May 2nd to 5th 2012. The Craft Brewers Conference is a major industry event that serves both brewpubs and packaging breweries. For professional brewers, CBC is the number one environment in North America for concentrated, affordable brewing education and idea sharing to improve brewery quality and performance. A lengthy trial following an investigation codenamed Operation Arnhem was concluded at Wolverhampton Crown Court in late February 2012. Seven men were convicted of a variety of criminal offences connected with theft and handling of stolen keg and cask containers. Some of those convictions resulted in long term prison sentences. GPS production for April will start on the 2nd so if you require casks, please submit your order using our quick and easy online order form. Cask runs this month include Silver and Green casks and we will also be introducing a new colour cask later in April. 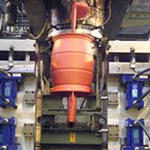 The green cask shown in the image above will give brewers even more opportunities to uniquely brand their casks. If you need any further information or require a different colour, please contact us. 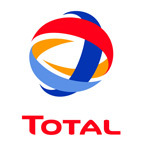 It was with the ambitious aim to offer the brewing industry a realistic and reliable alternative to steel containers that Global Polymer Solutions (GPS) first contacted polymer supplier Total Petrochemicals. 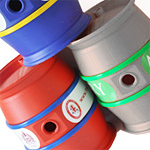 Following an intensive period of joint development, GPS was able to successfully commercialise the first range of plastic casks for the UK ale industry. 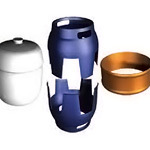 Various changes in the materials of keg manufacture away from stainless steel have been initiated in the last few years, largely driven by financial stimuli. GPS saw another excellent month during September and were happy to seal the deal with Lancaster Brewery for their new supply of Red casks. Following their move to a new brewery and visitor centre, Lancaster Brewery has increased production and has big plans for the future. GPS have also released a new colour Cask onto the Market in August with the Black Cask. New customers Black Iris Brewery and London Fields Brewery took the first orders of the Black coloured Cask with other breweries placing their order for a October delivery. As we go around different breweries we sometimes come up against a certain prejudice that plastics are 'tacky' or 'cheap' compared to steel. No doubt similar sentiments were expressed when the first aluminium and steel cask were produced to replace wood. Whilst we would not wish to denigrate steel in any fashion; sometimes plastics can offer the better option in certain applications.